Six way European leashes have been popular with dog obedience trainers, professional handlers, police K9 trainers around the world for years. 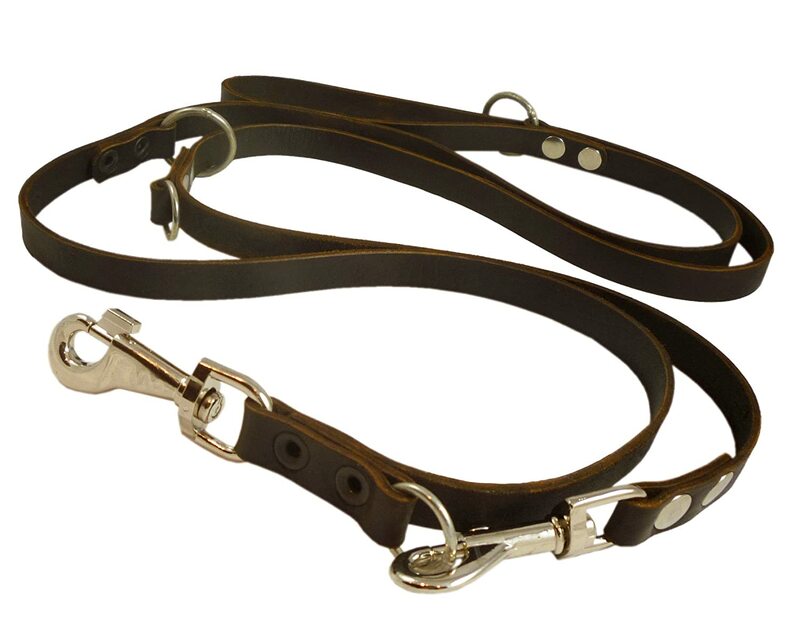 This Classic Adjustable Leather Dog Leash is designed to make walking your dog easy! Perfect for walking with any dog, you can easily adjust the length of this leash to make sure you and your pet are always comfortable. Six Functions in One Versatile Leash! This size is most suitable for large and extra Xlarge breeds.